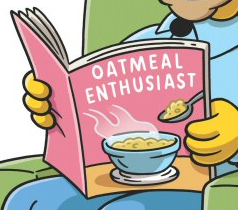 Oatmeal Enthusiast is a magazine that Grampa reads. When Homer crashed through the roof Grampa was reading the magazine in the room Homer landing in. Modified on February 15, 2015, at 12:12.